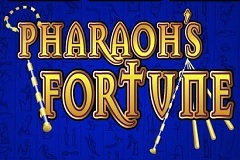 Pharaoh’s Fortune is one of the key pokies in the extensive Microgaming range. It’s got just about everything that makes up a popular game, such as what’s arguably the most sought-after theme, ease of play and a big, fat jackpot prize when the right symbols line up. With just 3 reels and 1 payline, getting to grips with how this game works couldn’t be easier. Spin the reels and if the right symbols come to a stop across the middle of them, a prize is won. To make it even easier to follow, there’s a paytable right next to the reels which lists each winning combination, while underneath the game is a simple control panel that’s used to set the amount staked on a spin. This will look very familiar to anyone who has played 3-reel Microgaming pokies before, as it has been laid out in the same way as countless others, which isn’t a bad thing as it works perfectly well. Backed up by a dark blue patterned design, the reels are on the small side and stuffed up into the top left corner of the screen while under them is the title image that features a couple of typically ancient Egyptian staffs. The payout table may have a list of how many coins players win, but they need to determine the value of a coin to actually work out the cash amount and that’s done at the bottom of the game area using the standard Microgaming control panel. Coin values can be set to 0.25, 0.50, 1.00, 2.00, 5.00, 10.00, 20.00 or a maximum of 25.00 and the number of coins in play can be 1, 2 or 3. To win the biggest jackpot, players will need to have all 3 coins, which means a minimum bet of 0.75, but apart from the jackpot prize, all other wins are at the same percentage of the amount staked. The smallest wins come from landing a single example of the scarab beetle emblem, which will pay out 2x the stake, while any 2 scarabs is worth 5x and a full line of 3 across the reels will pay 10x. 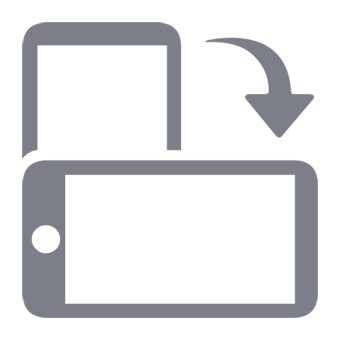 If any mix of the single, double or triple gold bar symbols stops across the payline, then players will earn a win of 5x their stake, while the single bar on its own is valued at 10x. Landing the double bar pays 20x and the triple bar 30x. The top value symbols are the pyramid and gold pharaoh’s sarcophagus head. If any mix of them lands on the line, then the prize is 40x the stake and the pyramids on their own are worth 80x. However, the pharaoh is the most valuable of the lot and in his case, the number of coins in use makes a difference. If 1 or 2 coins have been activated, the reward for landing a line of them will pay out 500 or 1000 coins, but if 3 are in use, rather than the 1500 coin payout that would follow on, it’s actually 2,500. So there’s a big incentive to play with 3 coins, but if a 0.75 minimum stake to do this is too much, then players will only be losing out on this jackpot prize and the others will pay just as much in relation to the amount bet. What Do We Sphinx of it? Pharaoh’s Fortune is a popular example of a classic design. 3-reel pokies are an enduring format that has remained in favour for many years, while picking the theme of ancient Egypt has virtually guaranteed that this will be a hit. Gameplay, the range of accepted bet sizes and the symbols used are all pretty standard stuff but none the worse for it. This is clearly not the newest game in town, as the quality of the symbols is hardly eye-popping although players of this type of pokie shouldn’t be put off by this, as it’s an overall quality title that fully deserves its position as one of the more successful ones around.